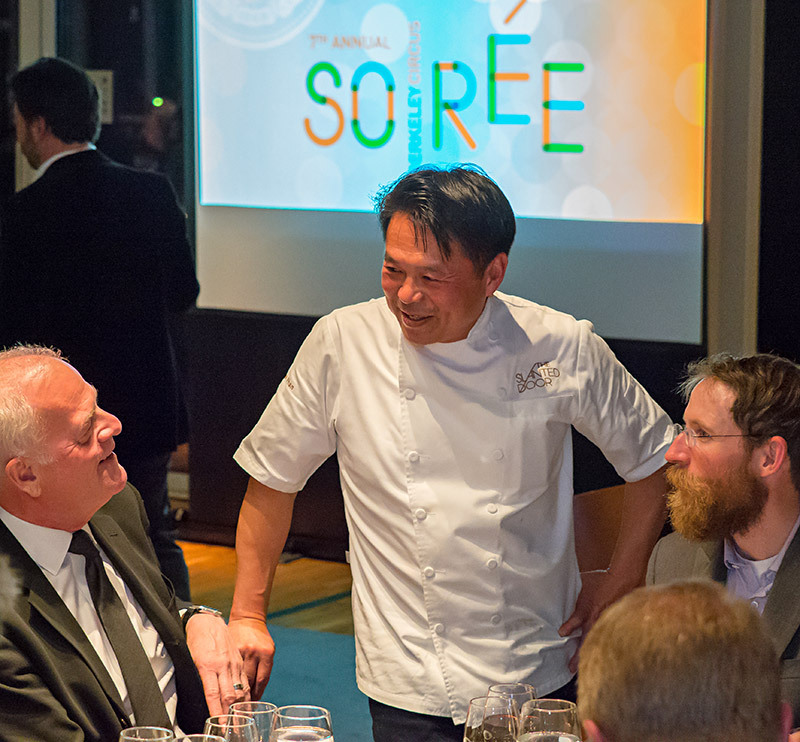 “The best event of the year,” is how one attendee described the 7th Annual Berkeley Circus Soirée which took place on the evening of March 4 at the California Memorial Stadium University Club. Soirée, and the Berkeley Circus that precedes it, are designed to celebrate the talent and achievement that springs from CED, and inspire ongoing innovation and support of the College’s key priorities. The events offer an opportunity for students who are building their careers and talents to engage with leaders in the field of environmental design thereby continuing the legacy and impact the College has on the profession. In her opening remarks, Dean Jennifer Wolch pointed to the extraordinary work of faculty and students that continues to receive recognition, highlighting that all three of CED’s professional graduate programs are ranked number one in the country among public university programs. 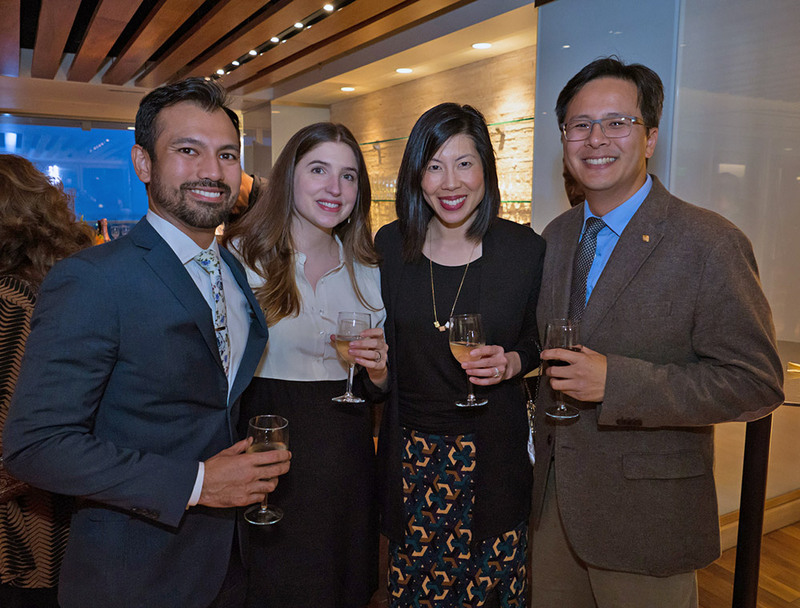 Generous contributions from donors not only help underwrite the Soirée, but also, and more importantly, provide financial support for students to insure that their CED educational experience is rich and rewarding. 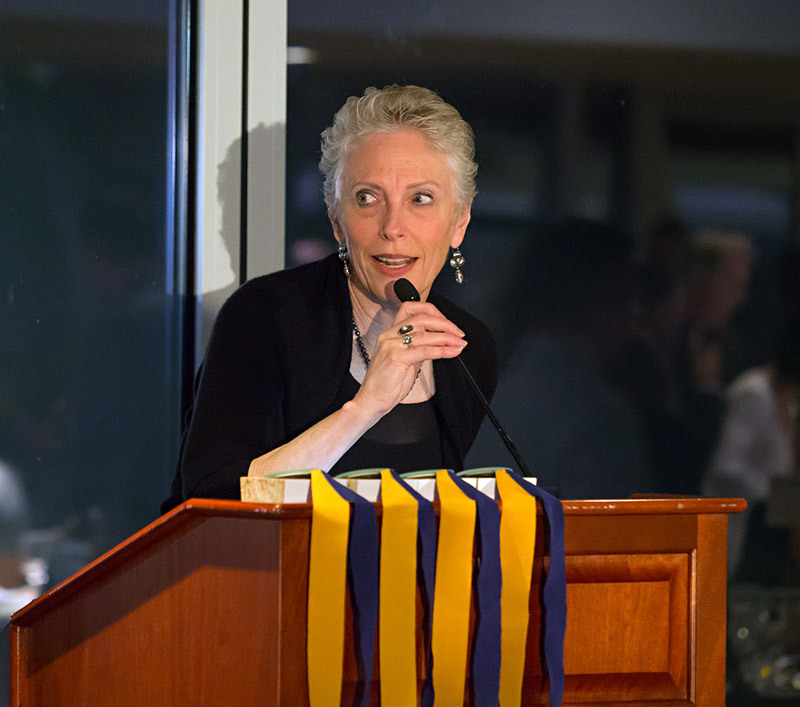 On behalf of the entire CED community, Dean Wolch offered her humble appreciation for the support the College receives and encouraged donors to continue their partnership with the College to achieve the College’s ambitious goals heading into the next comprehensive capital campaign for the University. Which will happen a lot more often now that Phan is in the process of renovating Ramona’s café in Wurster Hall with the grand opening planned for this coming fall. Designed by Lundberg Design, and featuring the new Ong Tze Boon Plaza to the west of Wurster Hall designed by PGAdesign, the new café will be a destination not only for the CED and campus communities, but also for East Bay residents as well. To be among accomplished friends, former classmates, and colleagues is a big part of what makes Soirée so special for attendees. 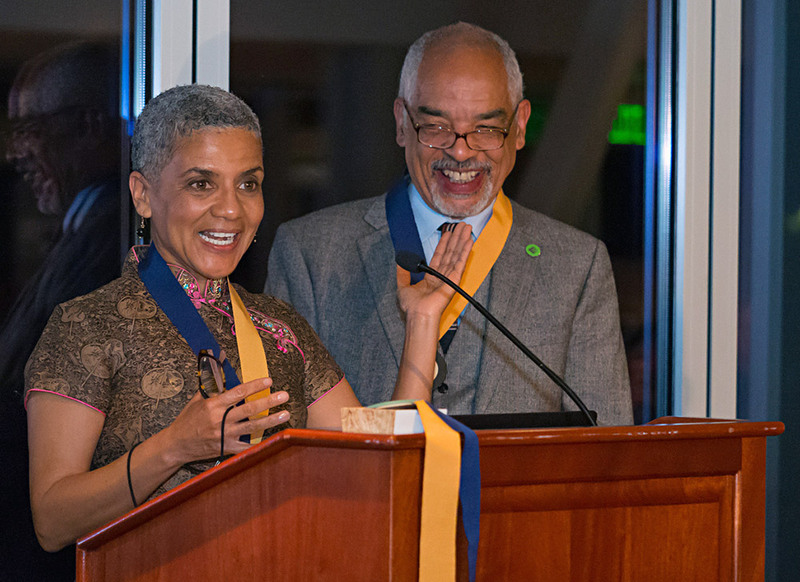 As one guest noted, “When you see your friends gaining recognition, it’s as if you’re being acknowledged as well.” This year, CED honored Distinguished Alumni [link to DAA article] Douglas Abbey; Diane Jones Allen, D. Eng., MLA, ASLA, RLA; Austin Allen, Ph.D., ASLA; and David Baker, FAIA, LEED AP. 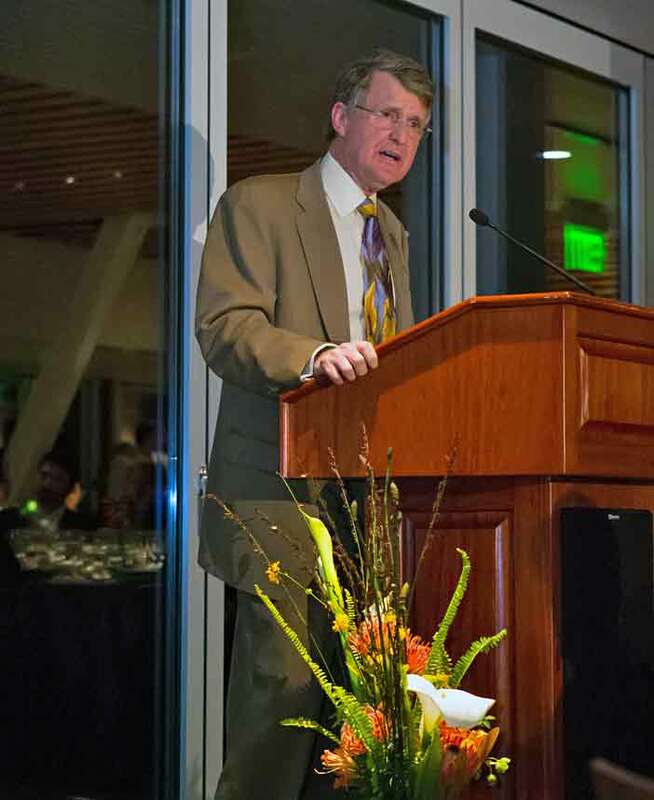 Rip Rapson, President and CEO of the Kresge Foundation gave this year’s keynote address. He began by expressing his delight at being introduced by a dean that bears William Wurster’s title, acknowledging that were it not for William Wurster, “I wouldn’t be here, I actually wouldn’t be anywhere” since it was through Wurster that his parents met and ultimately married. The heart of Rapson’s talk however was the role of philanthropy in helping to mitigate the enormous problems confronting the city of Detroit. Noting that the kinds of challenges that Detroit faces are present to varying degrees in cities all across the country, he outlined a set of principles used by the Kresge Foundation to reset the city’s trajectory, and suggested the role that philanthropy can play in guiding civic engagement and supporting transformation for other cities across the nation. 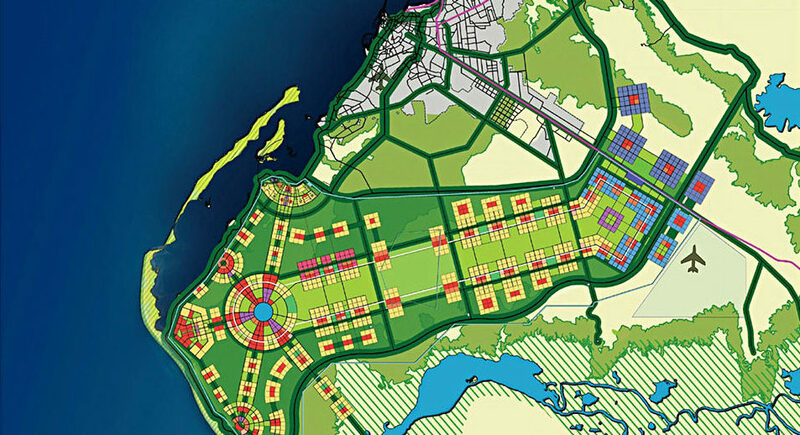 Starting with the creation of a vision for the future, “Re-Imagining Detroit 2020” established a framework for Kresge and the philanthropic community to set the table for civic discussion, build community capacity, encourage the return of private markets, and cement investor confidence. During his talk, Rapson detailed many of the strategies and initiatives that have catalyzed tremendous positive change in the region. The College is planning the next Soiree to be held in the fall of 2018. This will be a change from previous years when the event was held each spring, but with the success and growth of the both the Circus and Soiree events it was time to separate when each was held to better support continued success. Stay tuned for an announcement about the next Soiree. Gold sponsors Johnson Fain and Studios Architecture. Silver sponsors ELS, FivePoint, HO+K, Kwan Henmi, John Wong/SWA, Jim & Susan Crawford, Bill Falik & Diana Cohen, David A. Friedman & Paulette J. Meyer, Lydia Tan & John H. Barton II, and Judd Williams & Anne Bonaparte. 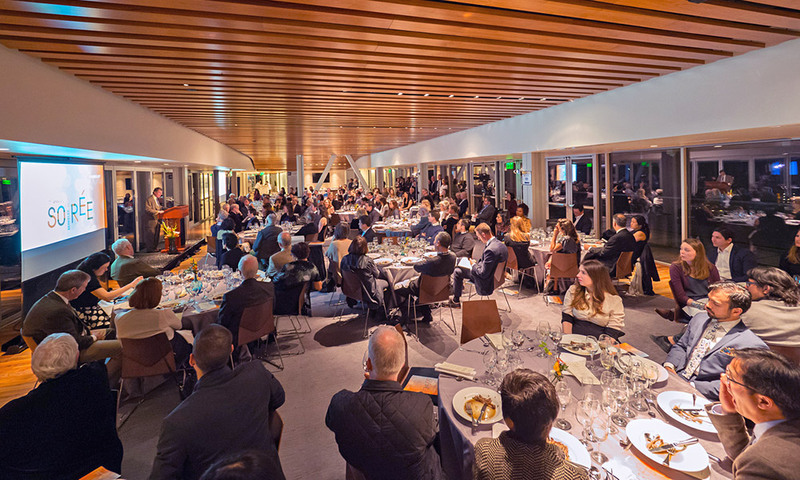 Bronze sponsors Caitlin Lempres Brostrom & Nathan Brostrom; Capretta Architecture + Planning + Building; Mary Corley & Jeff Bond; Betsey Olenick Dougherty, FAIA & Brian Dougherty, FAIA; Howard Friesen; Carol Galante & Jim Roberts; Benjamin Gilmartin, Partner, Diller Scofidio + Renfro; Juliet & Jhaelen Hernandez-Eli; Holliday Development; Christopher Kent, PGAdesign; Michael Lin & Kimberly Lin; Gabriel Metcalf; Herman Miller; Perkins+Will; Daniel Solomon, Mithun; Barbara E. Waschman & Andrew P. Oksner; and Joseph Wong, FAIA, JWDA. To view a gallery of images from this year’s Berkeley Circus Soirée, visit this page.